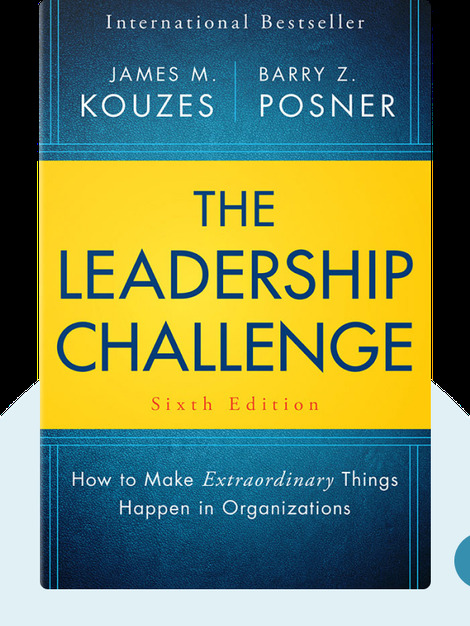 In The Leadership Challenge, James Kouzes and Barry Posner explain how anyone can become a better leader. Citing various examples from their 25 years of experience and extensive research, the authors present their theories on what makes a successful leader, and give practical advice on how to learn good leadership behavior. James Kouzes is the Dean’s Executive Fellow of Leadership at Santa Clara University’s Leavy School of Business and gives lectures and speeches on leadership worldwide. He has won many awards for his work, including the 2010 Thought Leadership Award. Barry Posner is the Accolti Professor of Leadership at Santa Clara University’s Leavy School of Business, where he served as dean from 1997 to 2000. He has been a visiting professor at several other universities worldwide and has received various awards for his work. The authors have worked together for over 30 years, lecturing on and researching leadership. 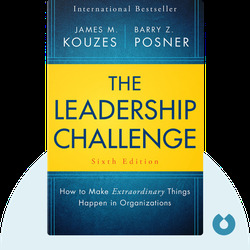 James M. Kouzes and Barry Z. Posner: The Leadership Challenge] copyright 2012, John Wiley & Sons Inc. Used by permission of John Wiley & Sons Inc. and shall not be made available to any unauthorized third parties.